In 2011, the League of Arab States voted to suspend the Syrian government’s membership in response to the use of excessive violence against peaceful civilian protests. In a striking show of unity, member states further agreed to impose economic sanctions against the Assad regime and encouraged severing diplomatic ties. Analysts in 2011 were optimistic about the outcome of these actions, predicting that Assad’s government would be pressured into restructuring its approach to the uprising. However, thanks to the intervention from the Russian and Iranian governments, Assad has been able to make up for the lack of support from the Arab world and eventually secure what appears to be an imminent victory against the rebels. In anticipation of the end of the civil war, the former Arab allies of Syria have begun debating the issue of how to approach the Assad regime moving forward. On January 18, as the foreign ministers of the Arab League met in advance of the Arab League Economic Summit, the Lebanese Foreign Minister Gebran Bassil called on the League to consider reinstating Syria as a member state. This call, while unprecedented, is not surprising: Syria, as one of Iran’s few Arab allies, has always enjoyed support from Hezbollah, Lebanon’s influential Shiite-Muslim political party. While Lebanon has consciously attempted to remain neutral towards Syria, Hezbollah’s political presence has been known to push the country in a sympathetic direction. Even so, this particular call was met with controversy. Of the seven heads of states who were set to attend, five dropped out. This humiliatingly low turnout has been interpreted as an attempt to send a message to Lebanon to tread cautiously around the issue of Syria. The circumstances underlying such a sharp reaction are complex. On one hand, it was remarkable in 2011 that the Arab League took tangible action against Syria in the first place, given the organization’s historical willingness to overlook member state atrocity. Many of the initial motivations for siding with the Syrian opposition are no longer relevant, now that the rebels no longer appear likely to win and hopes of ending the conflict quickly have long been abandoned. The most obvious barrier to normalization is the active ongoing violence against citizens, as Qatar, a long-term supporter of the Syrian opposition, implored its neighbors to consider. However, for other Sunni-majority states of the Arab gulf, many of whom are concerned about protecting their own autocratic regimes and unsavory actions, the primary issue lies in Syria’s strong relationship with Iran and Hezbollah. In order for the Gulf states to support reintegration, there would need to be an assurance that such action will not lead to an expansion of these Syrian allies’ power. While the Arab world may not be ready to fully integrate Syria into the realm of regional policy making, small signs of warming relationships have begun to spring up at the initiative of individual states. 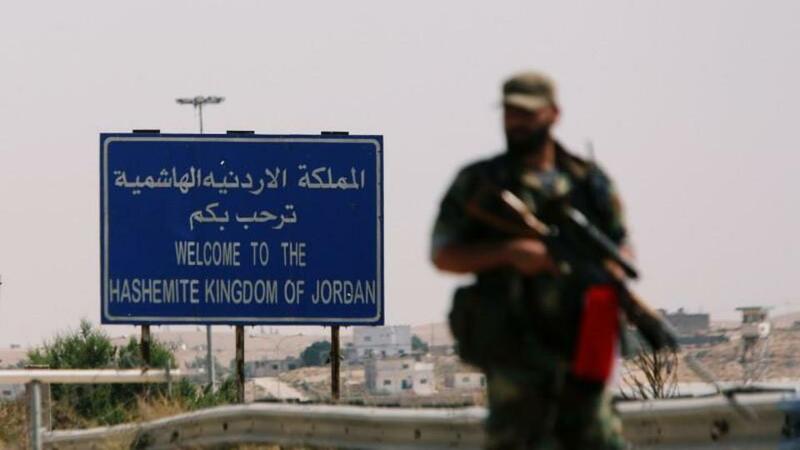 In October, the Nasib border crossing between Syria and Jordan was re-opened, creating excitement around the possibility of Syria building new trade relations with its neighboring countries. In December, the UAE and Bahrain moved to re-establish embassies in Damascus. At the same time, Omar Al Bashir, the president of Sudan, paid a personal visit to Damascus, representing the first contact between Assad and an Arab leader since the conflict began. In a similar landmark interview with a Kuwaiti newspaper following the visit, Assad expressed a belief that he had come to a “major understanding” with the Arab states. As Western leaders have expressed, it is still extremely early to be thinking about full normalization of relations with Syria. That said, the Arab states have good reason to be in a hurry. Eight years of vicious warfare have taken a heavy toll on the region. More than five million refugees have been forced out of Syria, most of whom have ended up concentrated in Lebanon, Iraq, Turkey, and Jordan. In the small, already-fractured country of Lebanon, Syrian refugees make up nearly a quarter of the population, placing intense strain on the country’s resources and domestic affairs. If Syria can be rebuilt into a politically stable state, many hope that at least a portion of these refugees will eventually be able to return home. Perhaps an even more pressing issue is the concern that a fragile Syria may fall subject to the same fate as Iraq, where the post-war state collapse gave rise to extremist groups. In particular, the imminent removal of U.S. troops from Syria echoes the circumstances that allowed ISIS to flourish in Iraq, generating significant anxiety that the nearly-defeated group could easily resurge. The UAE and Egypt have expressed direct support for Assad in this context, considering his regime to be the most effective defense against ISIS. Even among opponents of the Syrian government, including Saudi Arabia, there is general consensus that a brutal, but stable regime is preferable to a collapsed state. The World Bank and other sources have estimated that reconstruction in Syria could range from $250-400 billion. Syria’s current main source of funding, Russia, who has so far managed to prop up the state during its ostracization, is not capable of providing such a hefty sum. Typically, a post-war country might be able to look towards the United Nations for support; however, Assad’s unwavering refusal to comply with the UN peace process rules out this possibility. Without the aid that alliances with oil-wealthy Arab states might yield, the odds of Syria rebuilding into anything resembling a secure political entity are fairly slim. Despite the pressures in favor of Arab normalization, the process has been significantly slower than it might have been without the pushback from Western powers. The European Union recently issued a statement urging the Arab states to oppose a vote in the Arab League to reinstate Syria. The United States has supported this sentiment; during his recent tour of the Middle East, Secretary of State Mike Pompeo spoke directly with representatives from Saudi Arabia and Egypt to emphasize that it is still “too early” to consider a vote on Syria’s membership. The United States is concerned that if Syria is brought back into the Arab fold, they will bring Iranian influence with them, subsequently creating a challenge to American power in the region. Realistically, the relationship between Iran and many key Arab states is not dramatically different than American-Iranian relations. The Gulf Arab states, most notably including Saudi Arabia, have made it clear that Syria would be expected to sever ties with Tehran as a precondition of full normalization. In fact, the official justification given by the UAE and Bahrain with regards to their embassies in Damascus, claimed that this was an attempt to push Iranian influence out by providing a supply of competing Arab influence. Although the relationship between Syria and Iran shows no sign of wavering, there is little reason to believe that the Arab Middle East could be so easily vulnerable to Iranian influence. If the United States has a legitimate concern regarding Syria's reintegration, it is the role of Russia. Unlike Iran, Russia has an established friendly relationships with many key Arab countries, most notably with Egypt. Furthermore, Russia is actively attempting to expand its power in the region by providing military and financial support to both Syria and other states, including Lebanon and Iraq. If the U.S. neglects to pay sufficient attention to their own presence in Syria and other Arab countries, they risk seeing their relative power in the region dramatically undercut by Russia's expanding role. It is generally acknowledged that full normalization of Syrian-Arab relations is in the distant future. Any action taken now to improve relationships with Syria is merely in anticipation of the uncertain possibility that Syria could achieve peace. While significant political and humanitarian concerns continue to prohibit strong ties, the potential costs of refusing to engage with Syria are concerningly high. Syria’s vulnerability is the region’s vulnerability; it is in the long-term interest of neighboring countries to take any action possible to bolster their state capacity. As a result, it is likely that diplomacy with Syria will continue to gradually strengthen in spite of the controversy.